New loot has come in which you can get any product for free . 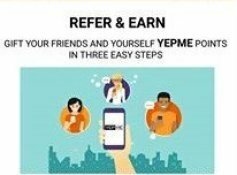 Yepme app is giving free credits for everyone who downloads the app & sign ups with the code given below . I will also tell how you can get unlimited credits and get any product for free . Firstly follow the steps below to get Rs101 credits on sign up and rs 101 per each refer. 2. Open the App . 3. Click on sign up & enter your details . 5. You will get Rs 101 in your account . You can use these credits to buy any product . Also pay online to get extra 25% off on paying online . 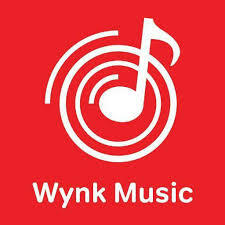 The App has refer and earn system by which you can earn unlimited by referring your friends to do the above procedure . It is giving Rs101 for each friends you refer So you can refer as many you get and get unlimited money by which you can buy any product for free . 1. Firstly click on dots at upper right corner . 2. You will see refer & Earn option . 3. Click on that option. 4. You will see your refer code . 5. Now click on refer now and share your refer code with your friends .